Two piece dress in excellent condition. Main colour is red silk covered with a rich orange/red lace encrusted with sequins. Skirt panels and centre of bodice are in royal blue and gold silk with gold applique. 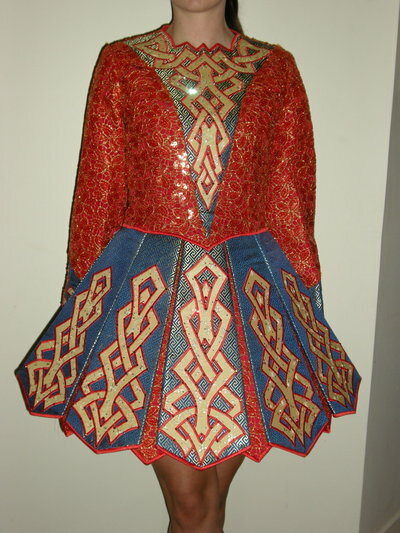 Lining of skirt is in red and gold version of silk used for panels. Many orange/red Swarowski diamantes.